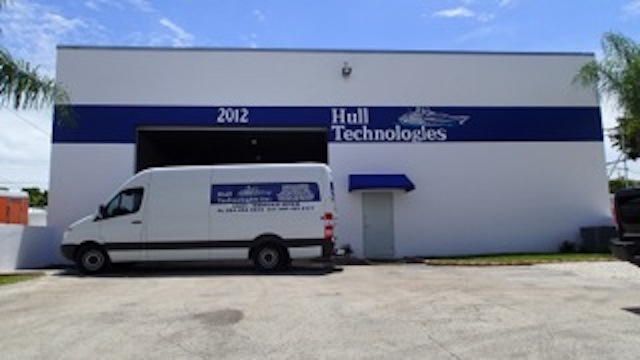 Hull Technologies Inc. has built a reputation on our ability to complete projects on schedule while consistently providing the precision fabrication, quality welding, attention to detail and work ethic our clients require to maintain and upgrade their Mega Yacht. From restoring older yachts and upgrading newer vessels, our 30+ year experience will deliver you high end services, so you have peace of mind whenever your are trusting us your valuable boat. We always confident, based on our experience and reviews, that we are good at what we do. You can count on us to care for your boat just as if it were our own, if not better. Call us as we're more than happy to talk with you about whatever boat project or question you have. Anthony Kaleda started Hull Technologies with the ambition of applying high quality standards into the luxury superyacht industry. His experience is backed on years of working as engineer in the US Navy with Ohio class nuclear submarines and nuclear plants. Our experience doesnt come from "fishermans with passion to the water", our experience come from the most efficient and strict built ships of the planet.